High Definition Backlit PVC Film used for indoor light box, resolution up to 5760dpi x 2880dpi so that graphics could be perfect to displays. Indoor Backlit PVC Film used for indoor light box, designed for any indoor environment like shop, super market, metro and etc. 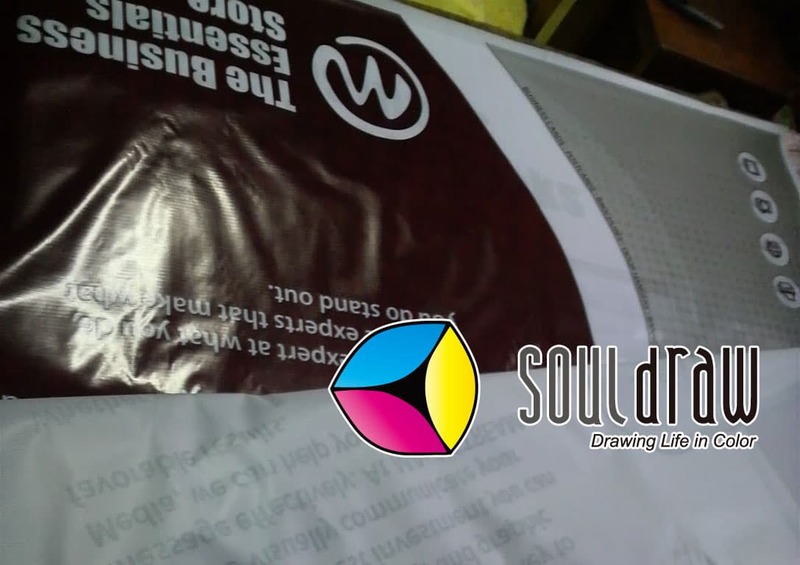 Mirroring printing means that we will print graphic onto back side of material, when the lights through the Backlit Film, graphics will perfect image to the front side. Please see the sample pictures in the bottom of this page. A specially coated non adhesive PET/PVC film which is designed to create back lit displays or for use in other applications where back lighting is desired. 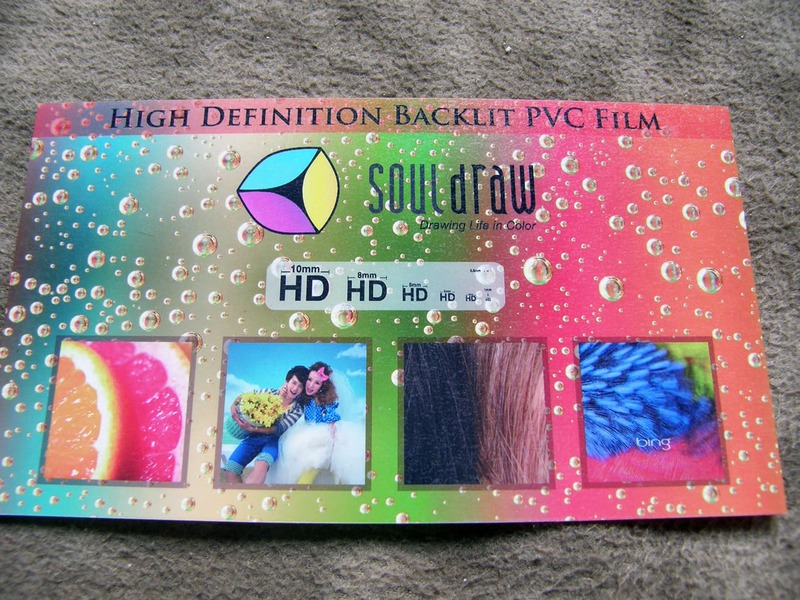 This film is non adhesive, to make it more broadly compatible with many applications, however if you wish to make it self adhesive we also could do it. This is a popular smooth material used for backlit lightbox. 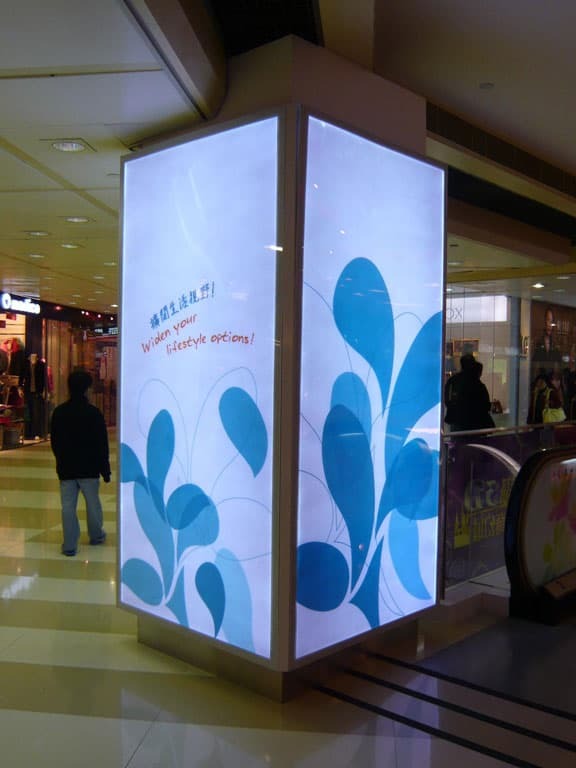 Thin Backlit Vinyl is an economy material which is cheaper way to create outdoor or indoor lightbox. 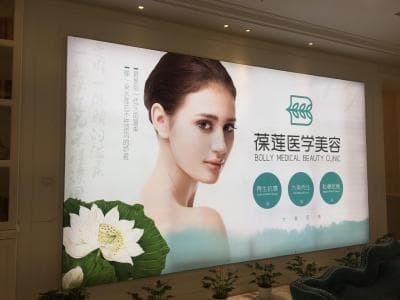 if you want light box looks better effect or more professional, we recommended you choice our's Backlit PVC Film or Indoor Backlit PVC Film..
A another choice for build backlit lightbox, this material canbe folded and extend once you apply it. Compared with other materials, this material is more artistic and noble.